Anil Ambani thanked Mukesh & Nita for their timely support & said he was grateful they had all moved beyond their past. New Delhi/Hong Kong: Asia’s richest man Mukesh Ambani has helped his younger brother avert a stint in jail, stepping in to make an $80 million payment for his sibling Anil whose telecom-to-infrastructure empire is struggling under the weight of debt. 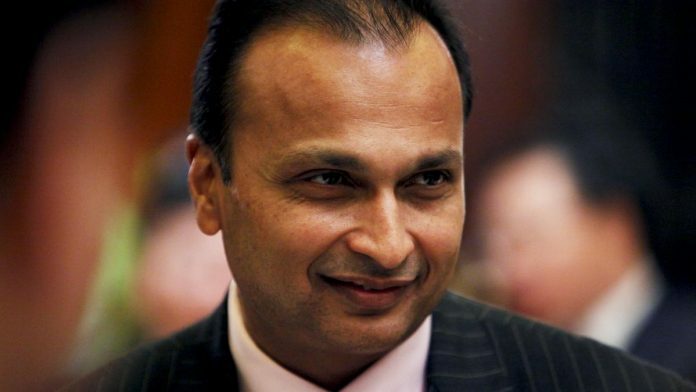 The embattled former billionaire, Anil Ambani, thanked his brother Mukesh, and his sister-in-law, after Reliance Communications Ltd. completed the required 5.5 billion rupee ($80 million) payment to the local unit of Ericsson AB for past maintenance services. Repeated failures to pay and Ambani’s personal guarantee landed him in trouble in February, with the top court giving him a month’s notice to comply or spend time in prison. Brazil’s Eike Batista was worth more than $30 billion at the start of the decade, according to the index. But his commodities and logistics empire evaporated under a mountain of debt and insider trading investigations. He gained the rare distinction of “ negative billionaire” in 2015 when his net worth sank to more than $1 billion in debt. RCom said Monday that the two companies have mutually agreed to terminate the pact, adding RCom is committed to “a comprehensive resolution” of overall debt through the National Company Law Tribunal. As regulations delayed the completion of his biggest deal, creditors such as Ericsson began demanding past dues. The Swedish equipment maker’s relentless legal pursuit led to a settlement under which RCom was to pay half of the past claims, or 5.5 billion rupees — an offer backed by a personal guarantee from Ambani. After spoiling the image and reputation of younger brother all-over the country and world, the elder brother comes forward to give help to his younger brother to pay the total amount of 550 crores to Ericson as per Supreme Court order, at a very last moment. How far Anil Ambani’s credibility will justify his defamation suits of some worth 10,000 crores and in thousands of crores in totality, when he was not able to raise even 550 crores from his own ability. As per reports, now BSNL is demanding 700 crores due by R Com to BSNL. Salute to Mukesh Ambani! He is not only rich in money but also rich in family values.